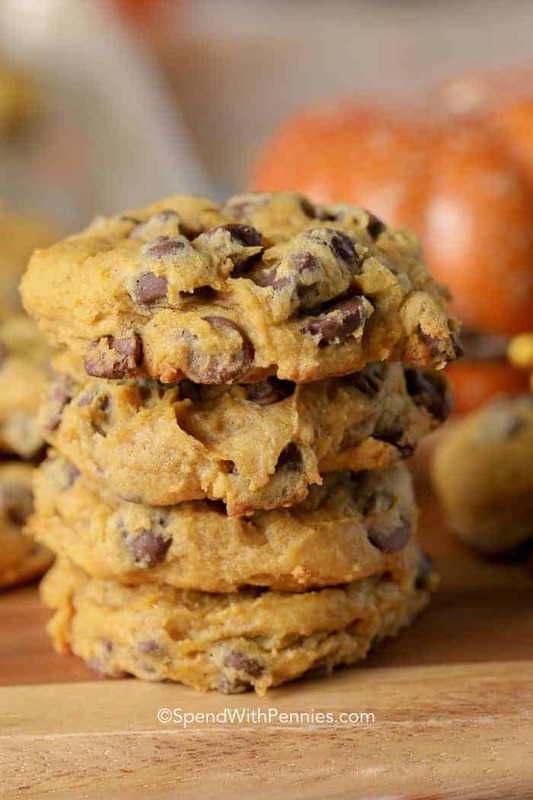 Pumpkin Chocolate Chip Cookies are the perfect comfort food treat for fall! 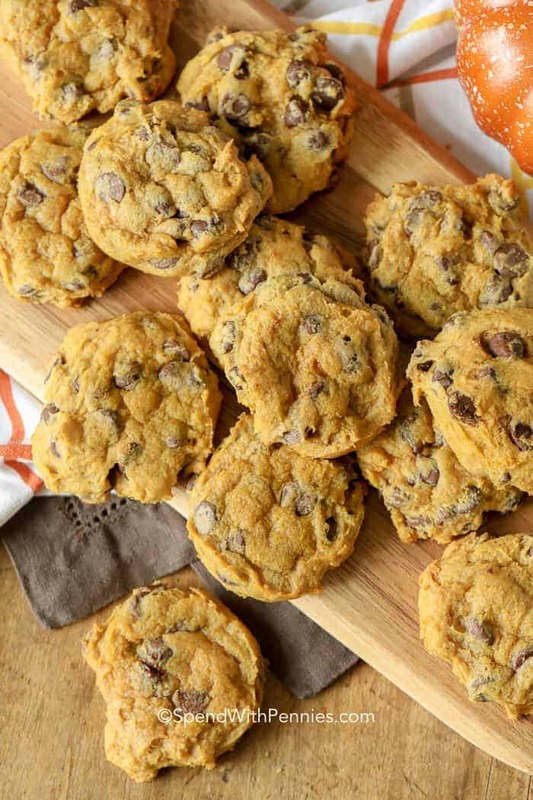 A soft and moist cookie with just the perfect amount of pumpkin flavor and scattered with chocolate chips hits the target for back to school lunches or parties! Fall signals the time for so many things. Getting back into the routine of back to school, kids’ activities and the return of cooler weather! And last, but not least, baking up our favorite pumpkin recipes like Pumpkin Pie Cookies! I confess, I struggle with keeping school lunches interesting and fun. Add to this that lunches needs to be peanut free, (which I totally understand, I have a nut allergy kid of my own) which definitely eliminates a few lunch and snack options! While many times during the year, I bake up a batch of Perfect Chocolate Chip Cookies in the fall I can’t help but to add pumpkin to all. the. things. These easy Pumpkin Chocolate Chip Cookies fit right in with my favorite pumpkin line up! Just give me a steamy mug of coffee or a tall glass of milk and I’m in heaven! 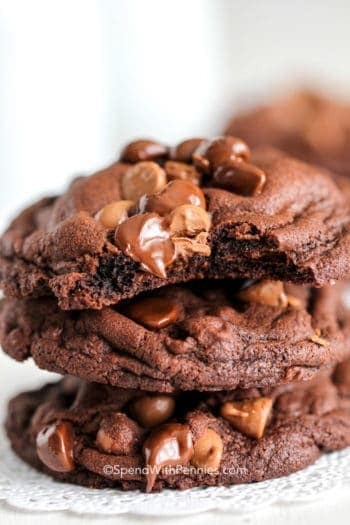 Pumpkin Chocolate Chip Cookies are made using a similar process for many other cookies such as Triple Chocolate Cookies, the difference being that the dough is chilled just before baking in this recipe. Combine all dry ingredients together and set aside. Mix together the butter, sugars and vanilla until fluffy. Add pumpkin puree and egg. Combine the two mixtures and stir in chocolate chips. 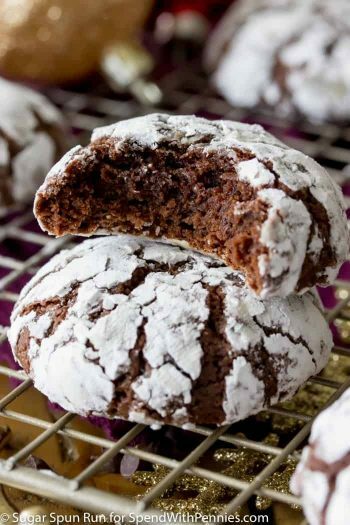 Scoop onto a baking pan and then place in the refrigerator for a few minutes (this stops the cookies from spreading) . These pumpkin cookies should be just slightly underdone in the center when you take them out of the oven and lightly browned on the bottom. This will produce a softer, chewier cookie. 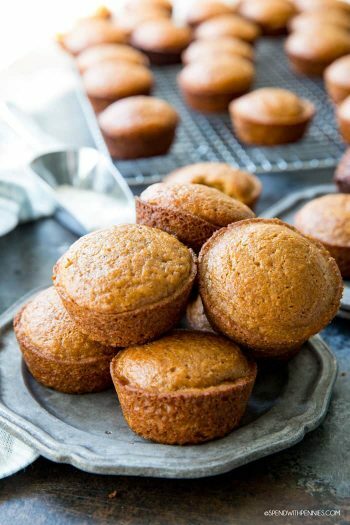 It is important to keep in mind that these cookies contain moisture from the pumpkin so as you store them in an airtight container, they will change texture to be a little bit more cake like (kind of like a Banana Bread that gets more moist after it sits). You can freeze Pumpkin Chocolate Chip Cookies either before or after baking, making this the perfect cookie! 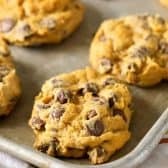 If you have a craving for pumpkin and chocolate, these Pumpkin Chocolate Chip Cookies from scratch are the perfect fix! 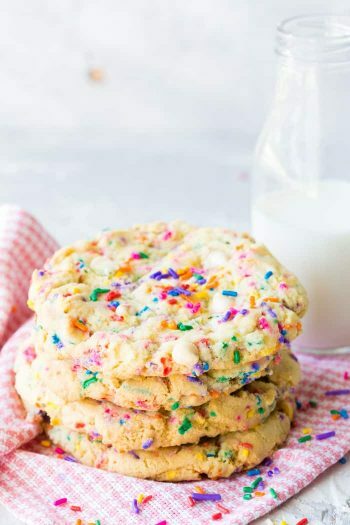 Ooey gooey goodness in each bite! Pumpkin Pancakes – Like eating dessert for breakfast! Pumpkin Blondies – Perfect with coffee. 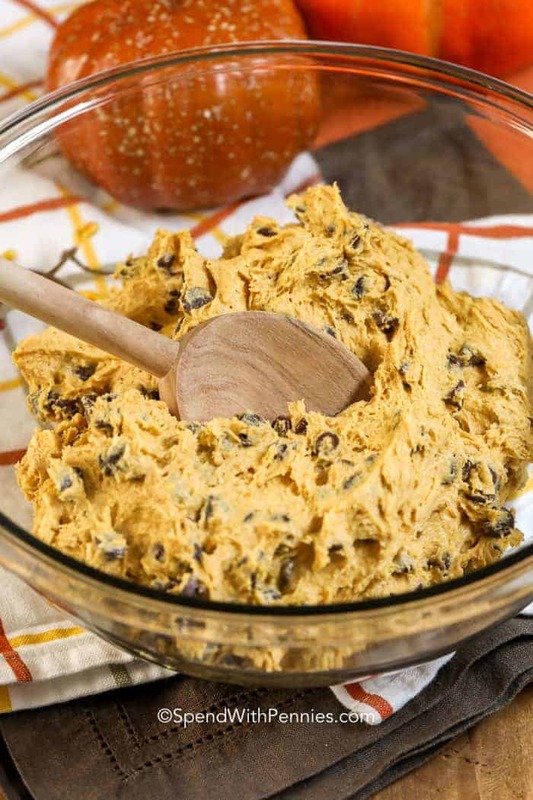 Fluffy Pumpkin Pie Dip – Popular recipe! Pumpkin Pie Crescents – So easy. Soft pumpkin pie cookies loaded with chocolate chips are a fall favorite cookie! 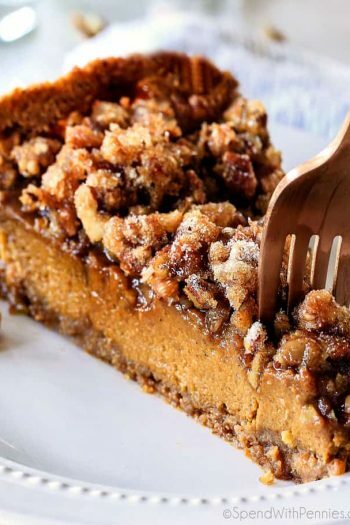 In a medium bowl combine flour, baking soda, baking powder, salt and pumpkin pie spice. In a large bowl, cream together butter, brown sugar, white sugar and vanilla. 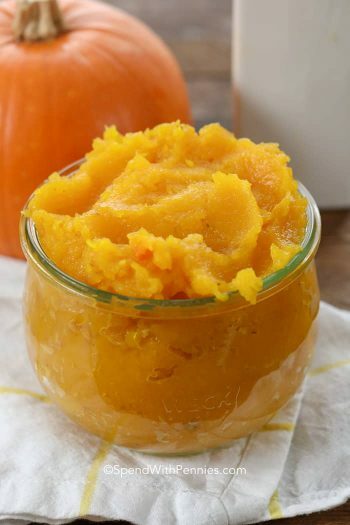 Add pumpkin puree and egg and mix well. Stir the flour mixture into the creamed mixture then add the chocolate chips until fully incorporated. Using a 1 1/2 tablespoon scoop, drop onto un-greased cookie sheets. Refrigerate for 15 minutes. Press cookies down slightly then bake in preheated oven for 14-16 minutes. Allow to cool on cookie sheet for 2 minutes before removing to a wire rack.